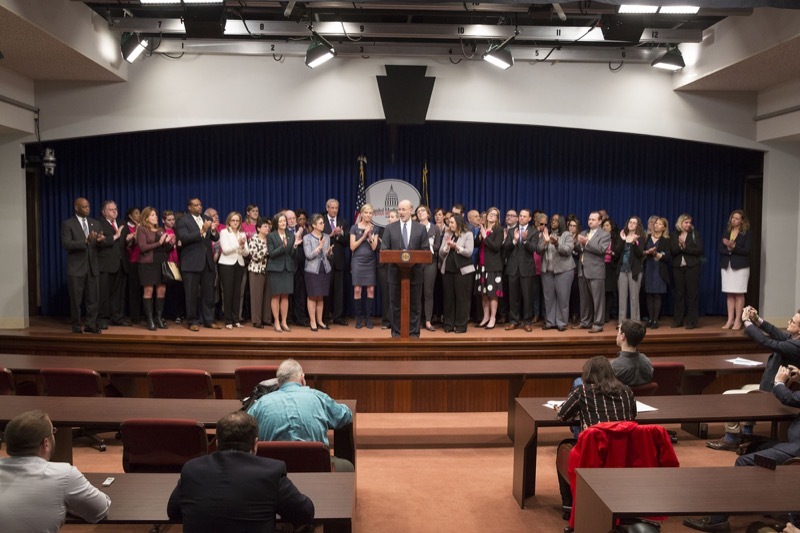 HARRISBURG - Auditor General Eugene DePasquale today said his office is already preparing to audit all state and federal funds spent during the current fiscal year and that he will immediately start tracking extra costs if the 2016-17 budget is not finalized by June 30. 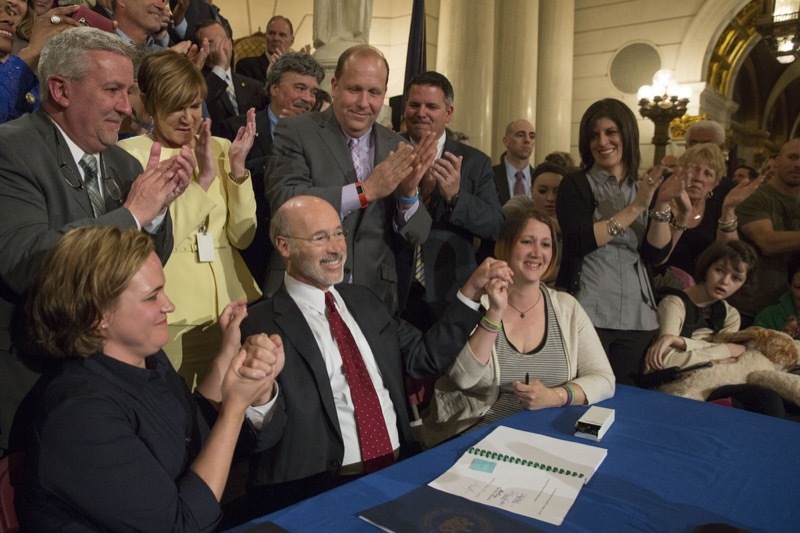 On Sunday, Governor Wolf signed SB3, legalizing medical marijuana which will provide long overdue medical relief to patients and families who could benefit from this treatment. 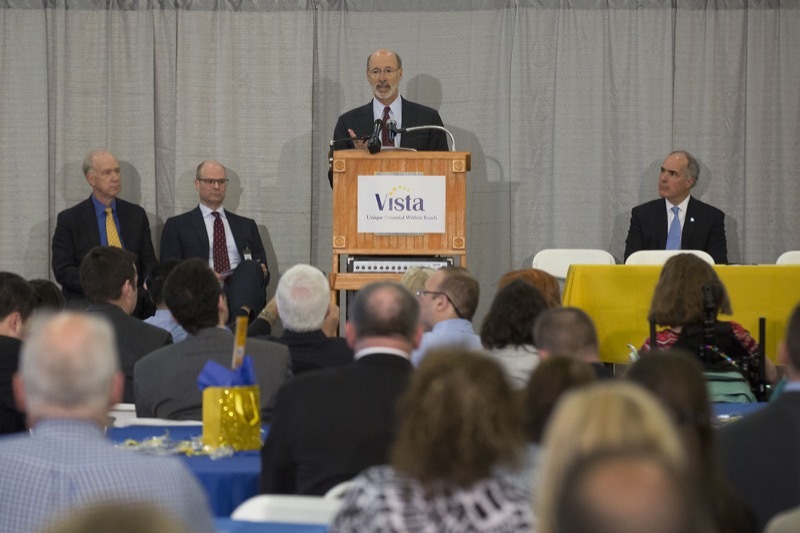 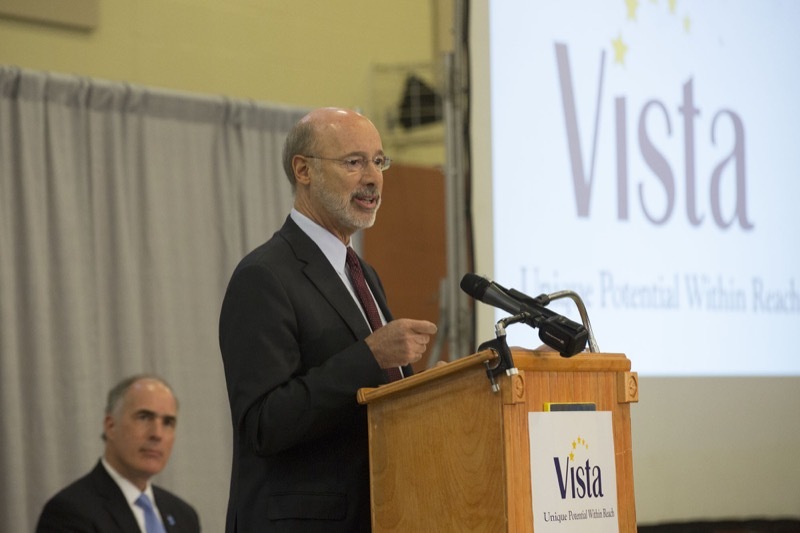 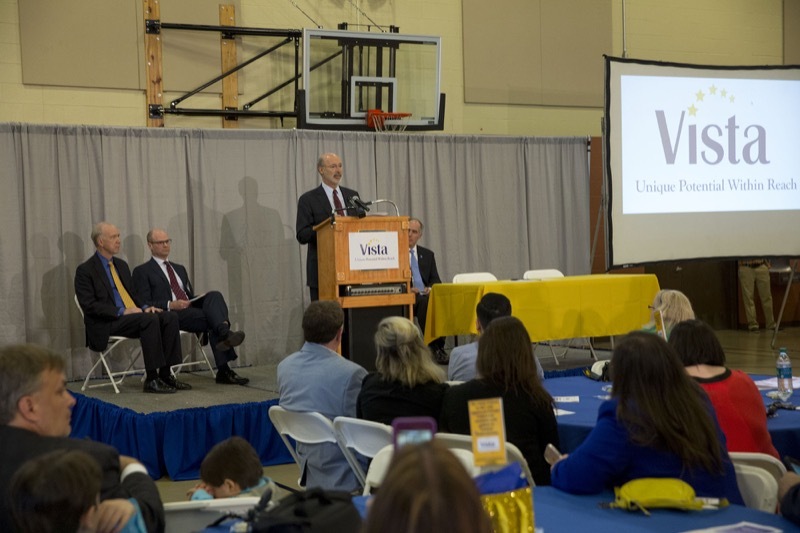 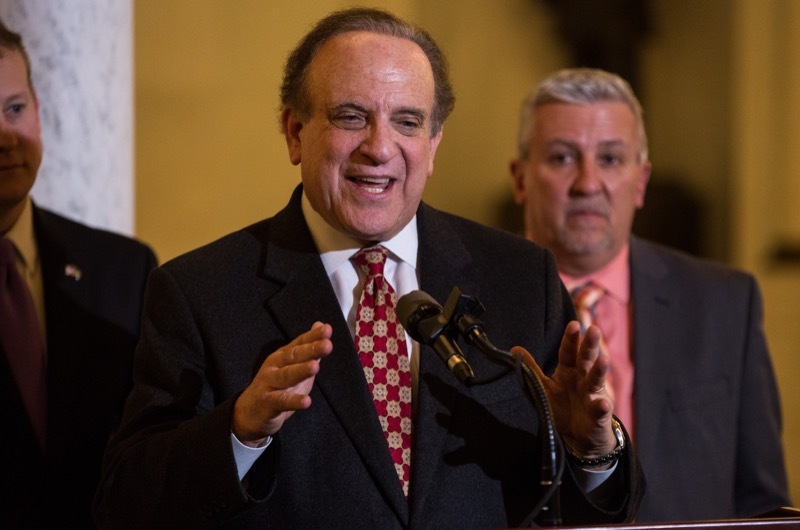 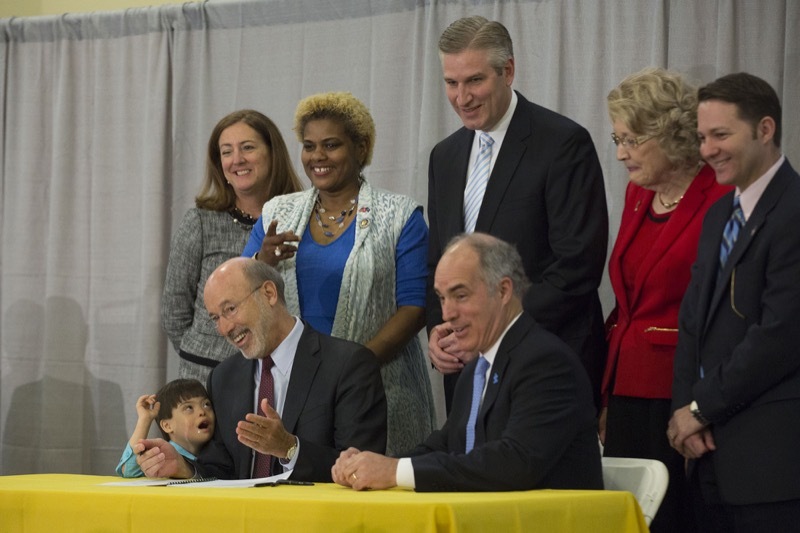 On Monday, Governor Wolf, joined by Senator Casey, signed the ABLE bill, which will help individuals with disabilities save for future expenses. 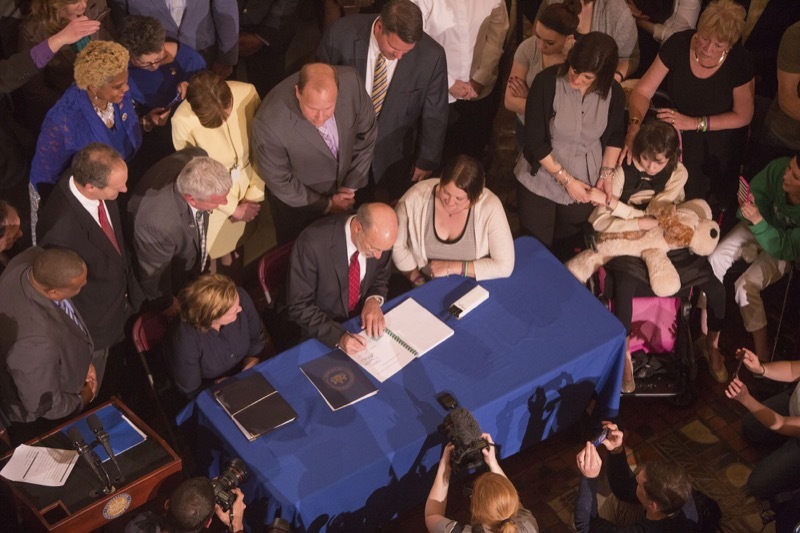 On Thursday, the Governor held a bipartisan discussion to address Pennsylvania's opioid crisis in Reading and signed a bill that makes it easier for survivors of spousal abuse to divorce their abuser. 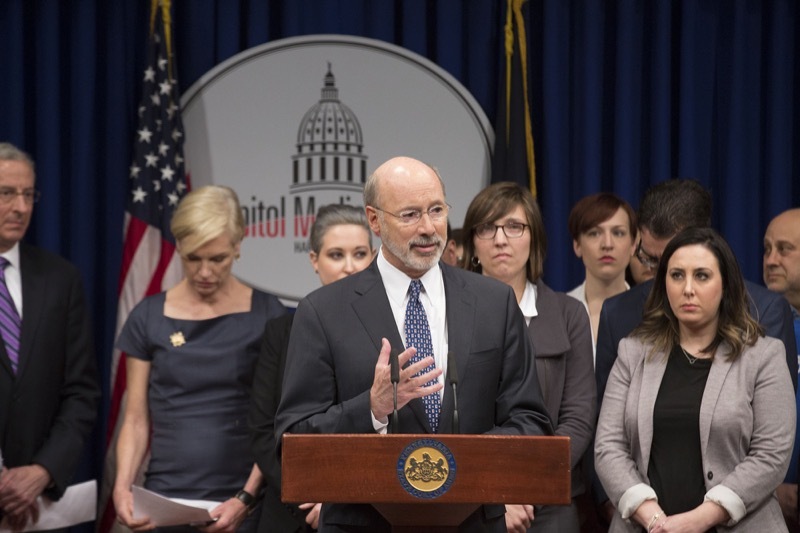 Today, Governor Wolf signed HB12 which breaks down barriers for victims of spousal abuse by empowering victims to take control of their divorce proceedings. 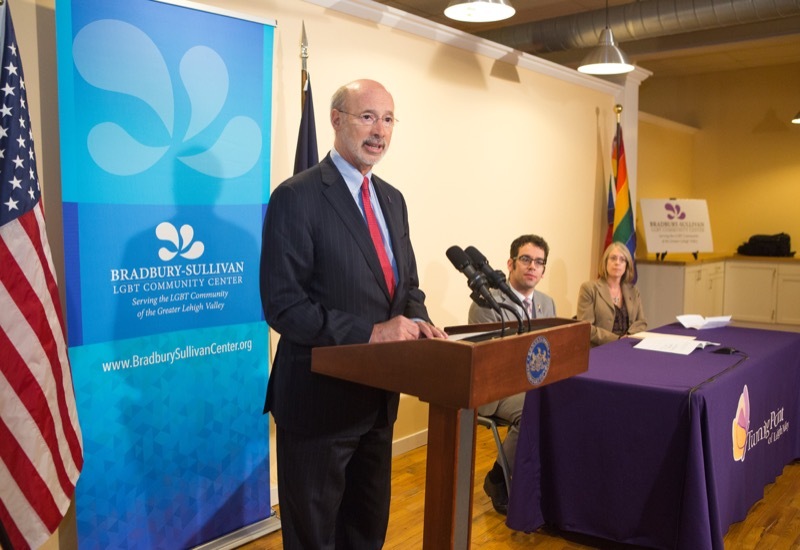 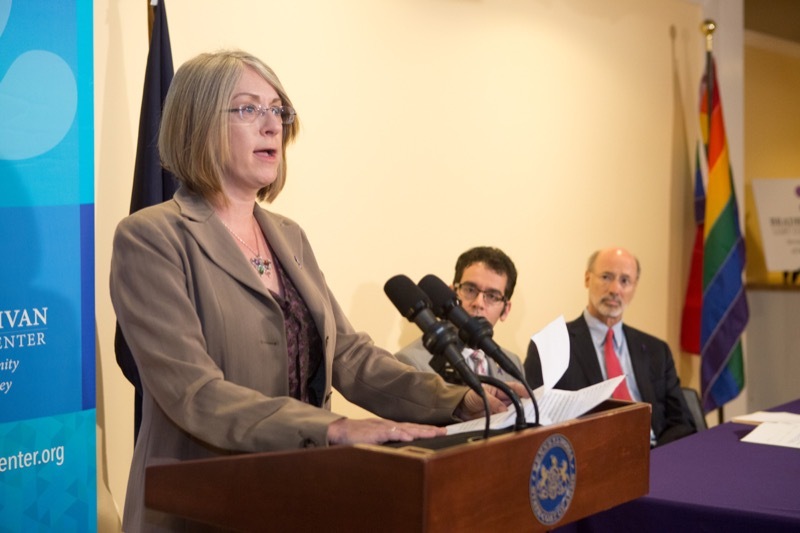 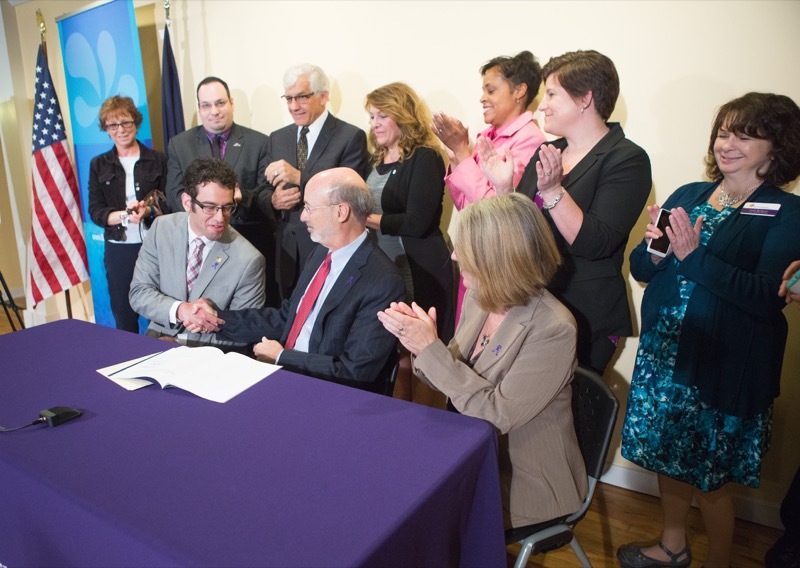 Allentown, PA - Today, Governor Wolf signed HB12 which breaks down barriers for victims of spousal abuse by empowering victims to take control of their divorce proceedings. 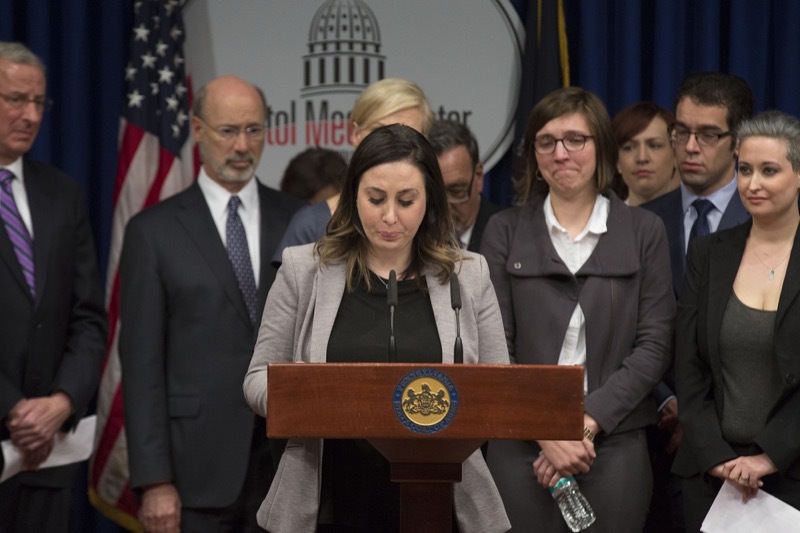 'When someone else experiences spousal abuse, it reflects - and often reinforces - a number of negative forces. 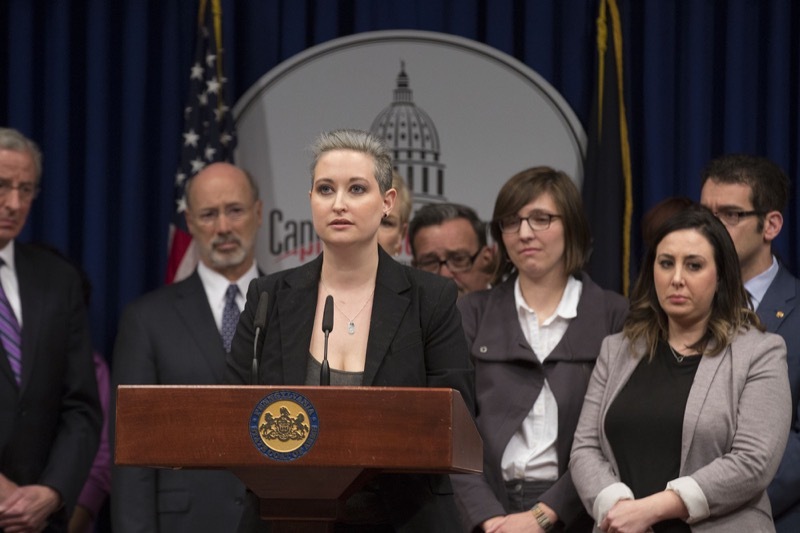 It promotes a culture of unfairness and discrimination. 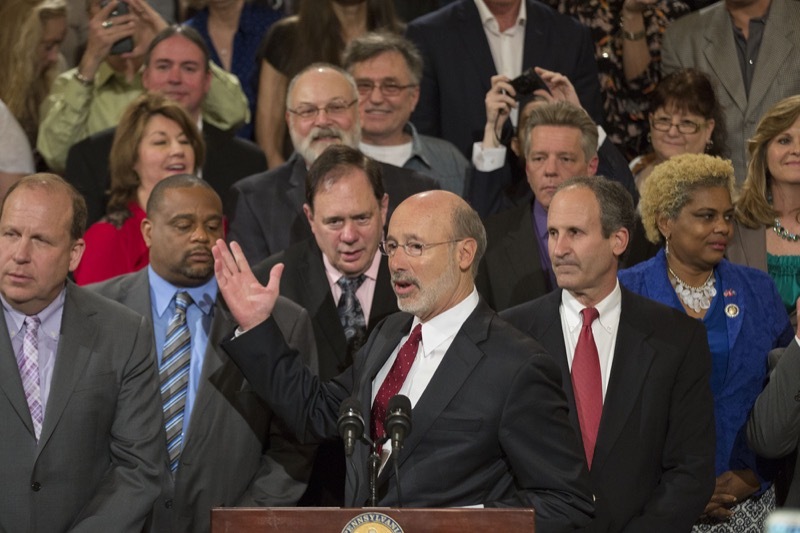 It feeds on the pernicious idea that some people have clearer rights than others,' said Governor Tom Wolf. 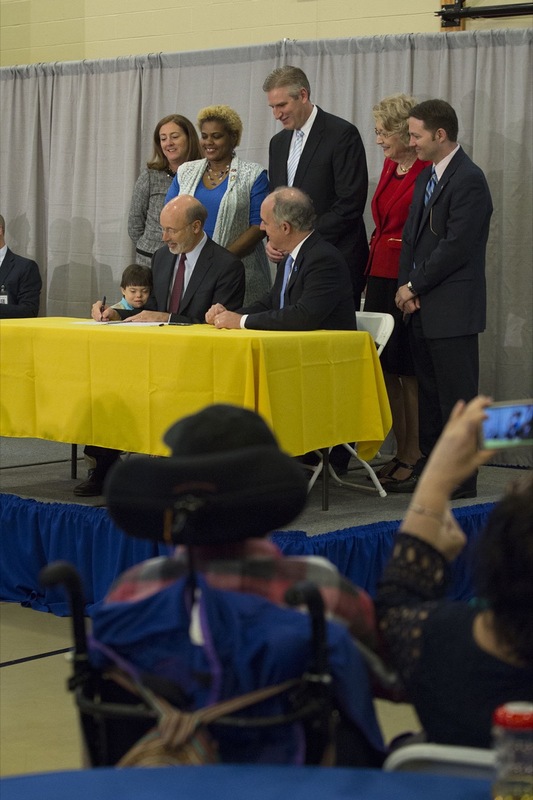 Governor Wolf Signs Bill to Help Individuals with Disabilities Save for Future Expenses. 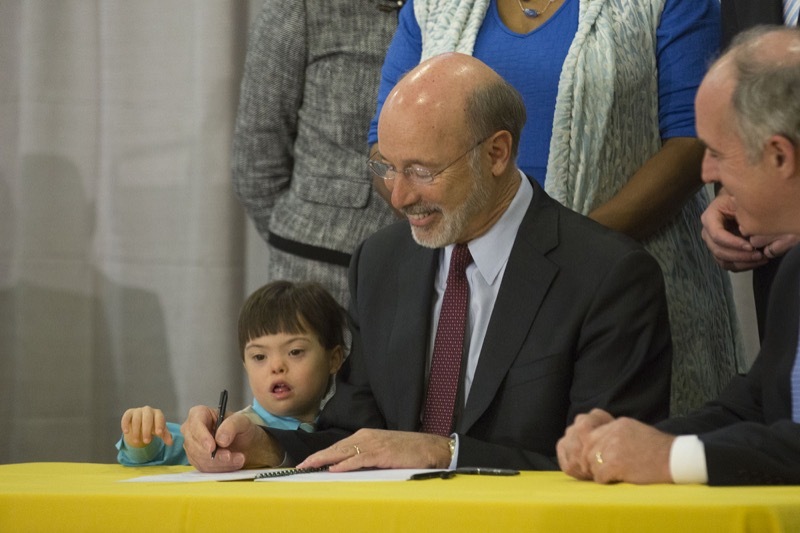 Governor Tom Wolf Signs Bill to Help Individuals with Disabilities Save for Future Expenses. 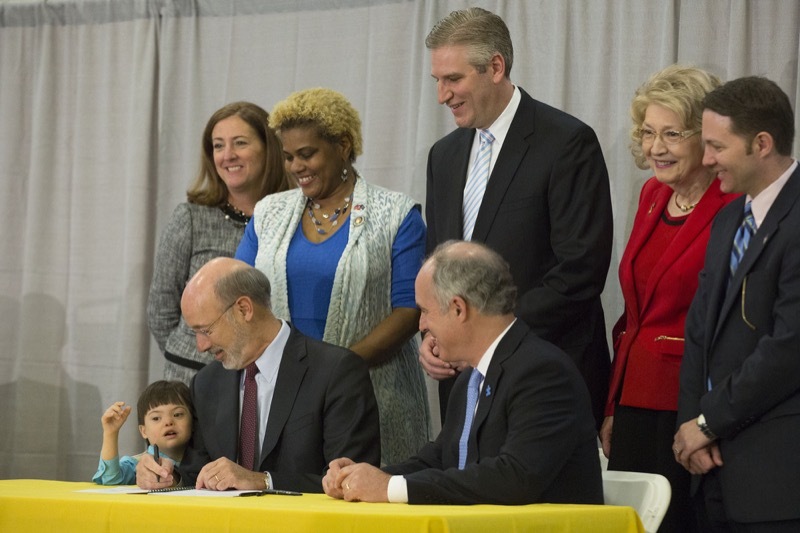 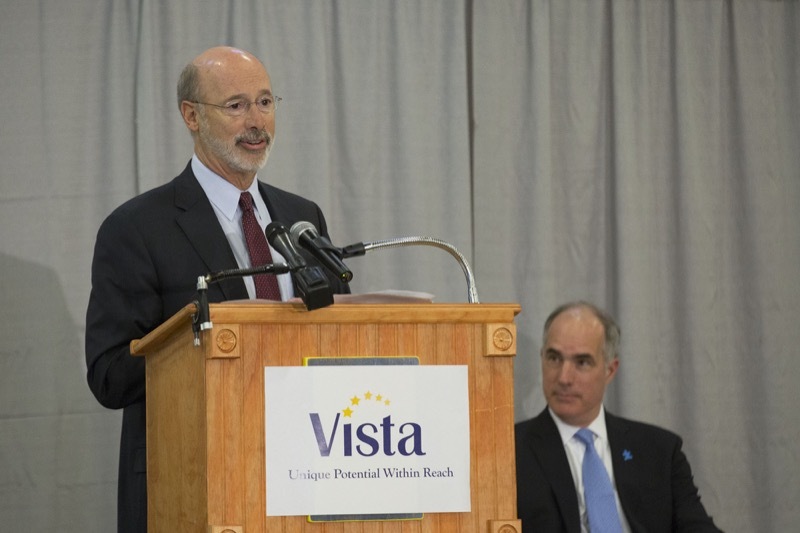 Derry Township, PA -- Governor Wolf today signed into law the Pennsylvania Achieving a Better Life Experience Act (PA ABLE) that enables the creation of tax-exempt savings accounts specifically for people with qualified disabilities and their families. 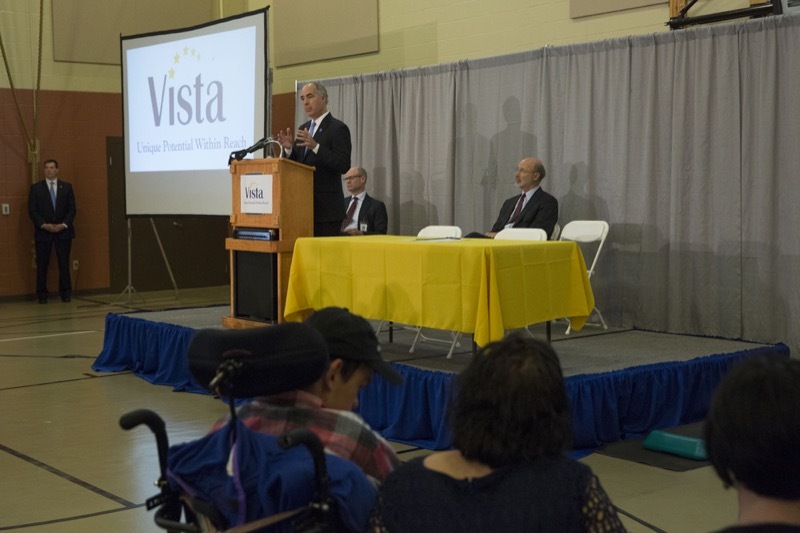 The accounts can be used for a wide-range of disability-related expenses including health care, housing, and transportation without jeopardizing eligibility for important programs on which individuals with disabilities must often depend. 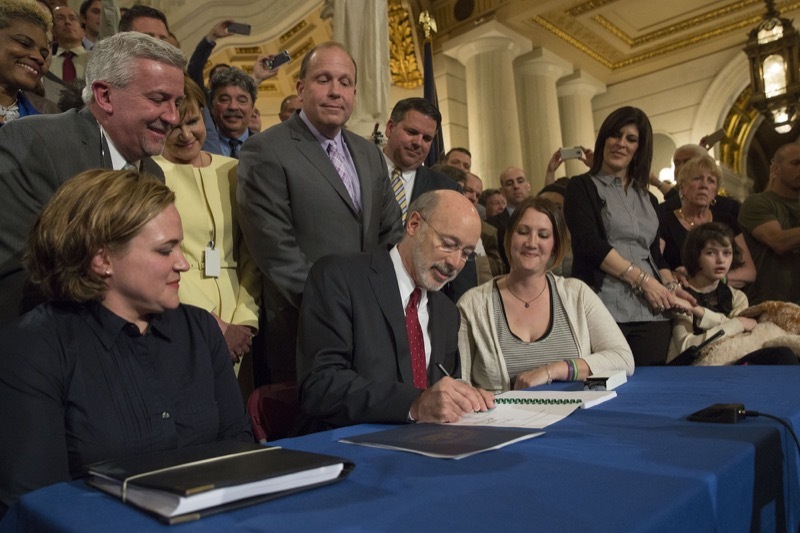 Governor Wolf Signs Medical Marijuana Legalization Bill into Law. 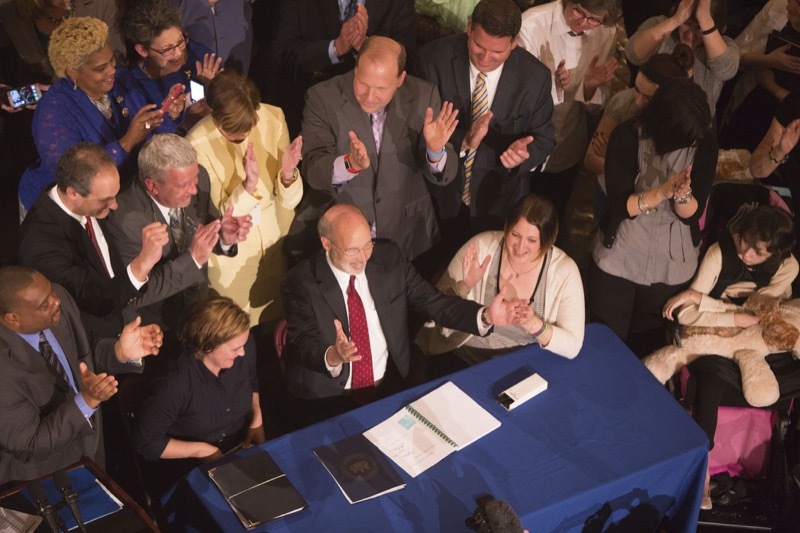 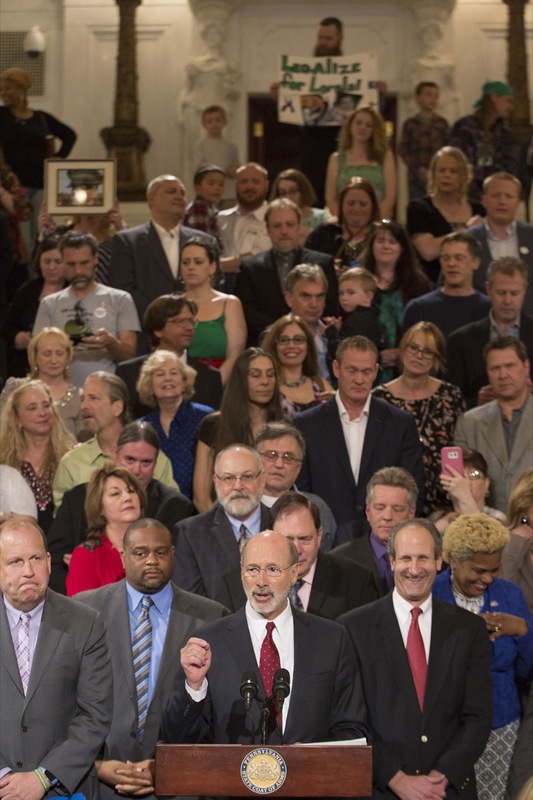 Governor Tom Wolf Signs Medical Marijuana Legalization Bill into Law. 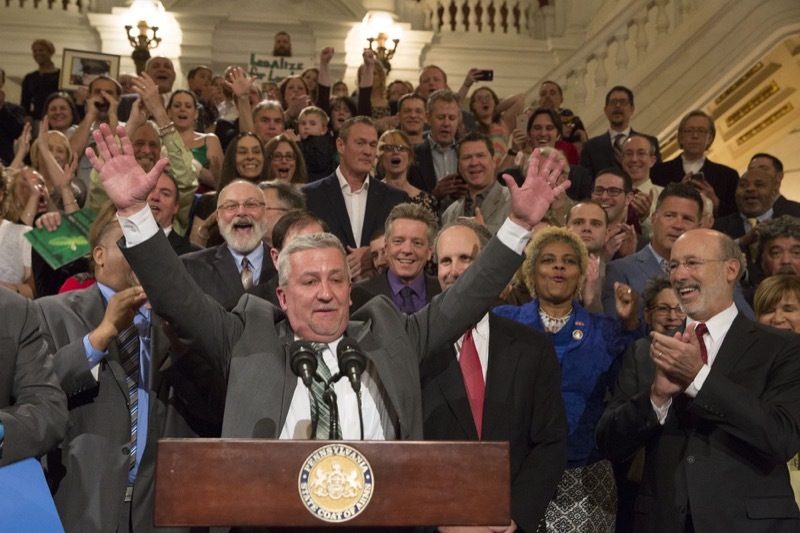 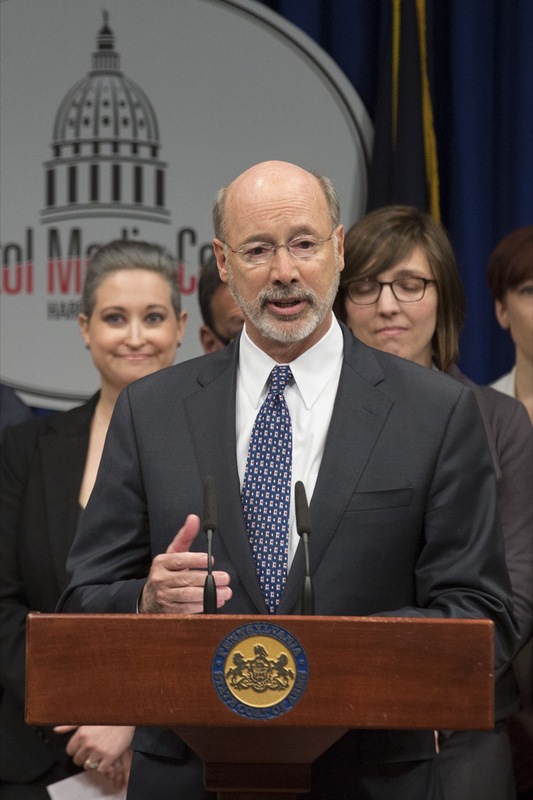 Joined by advocates, members of his administration, and a bipartisan group of lawmakers, Governor Wolf signed Senate Bill 3, legalizing medical marijuana in Pennsylvania. 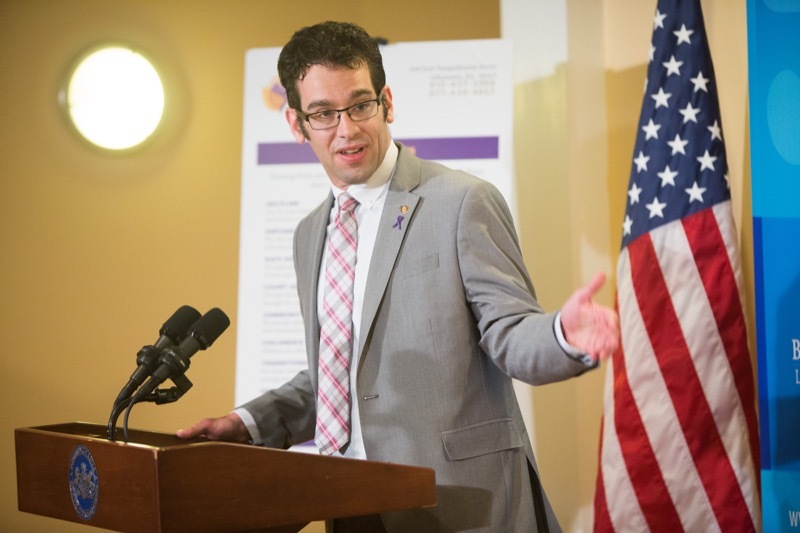 Dr. Loren Robinson, Deputy Secretary for Health Promotion and Disease Prevention, provides an overview of the medical marijuana legislation, which will be signed into law by Gov. 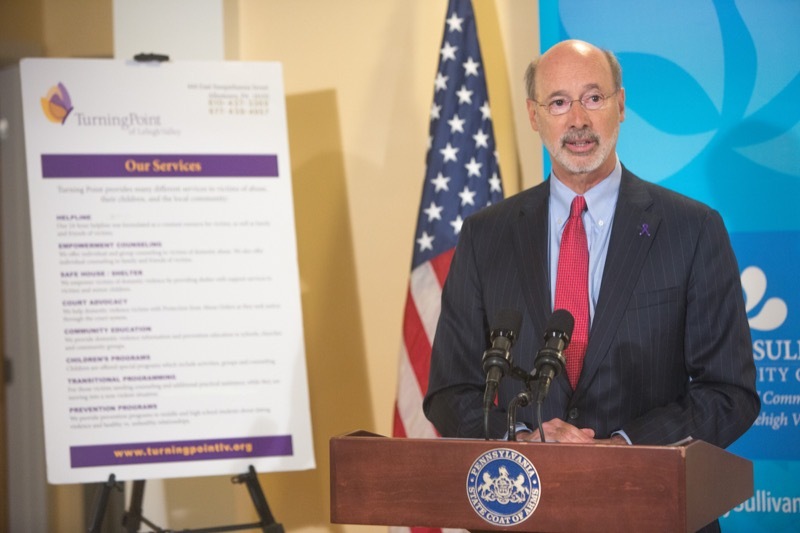 Wolf on Sunday, and discusses how the program will be rolled out in the coming months. 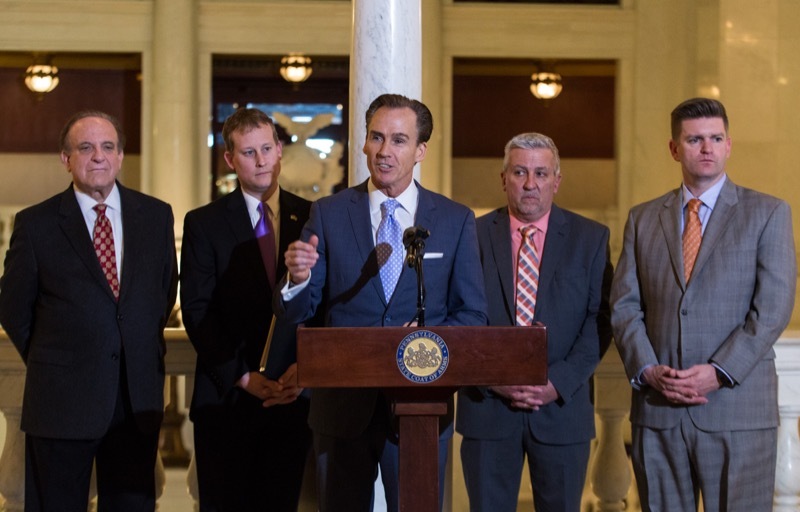 A group of Democratic and Republican state Senators joined Lt. 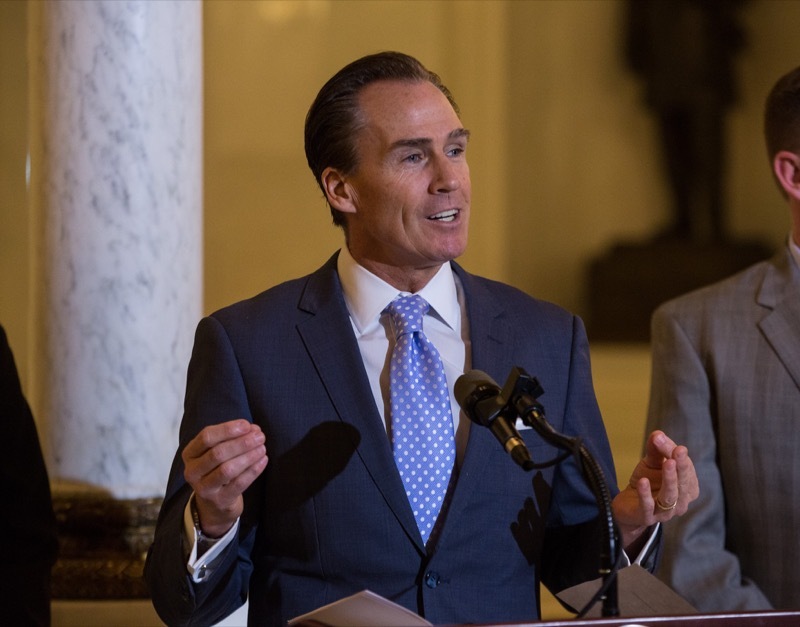 Governor Mike Stack today to express support for adopting a two-year state budget cycle to replace the current annual process. 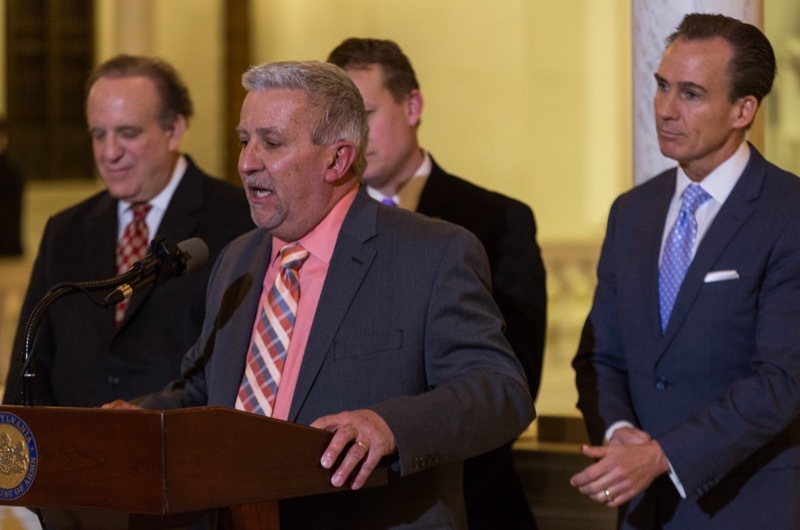 At a press conference in the state Capitol, they announced the introduction of a constitutional amendment, sponsored by Republican Ryan Aument, aimed at implementing that change. 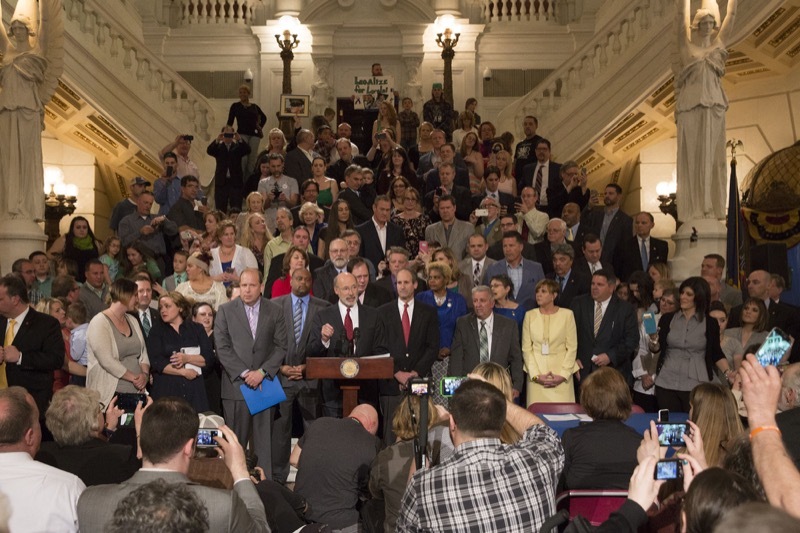 Harrisburg, PA -A group of Democratic and Republican state Senators joined Lt. 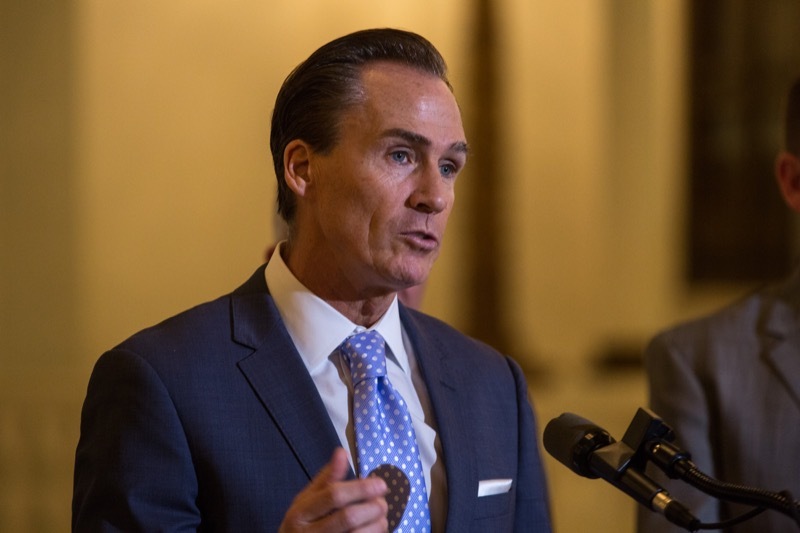 Governor Mike Stack today to express support for adopting a two-year state budget cycle to replace the current annual process. 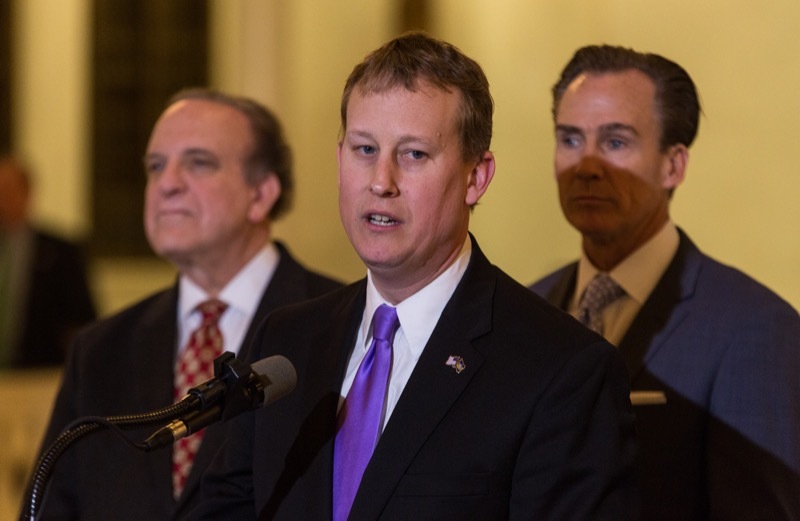 At a press conference in the state Capitol, they announced the introduction of a constitutional amendment, sponsored by Republican Ryan Aument, aimed at implementing that change. 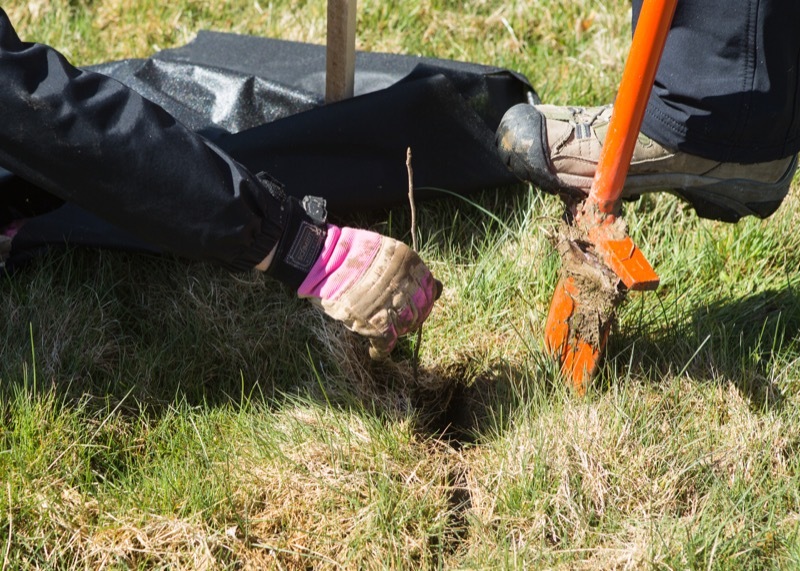 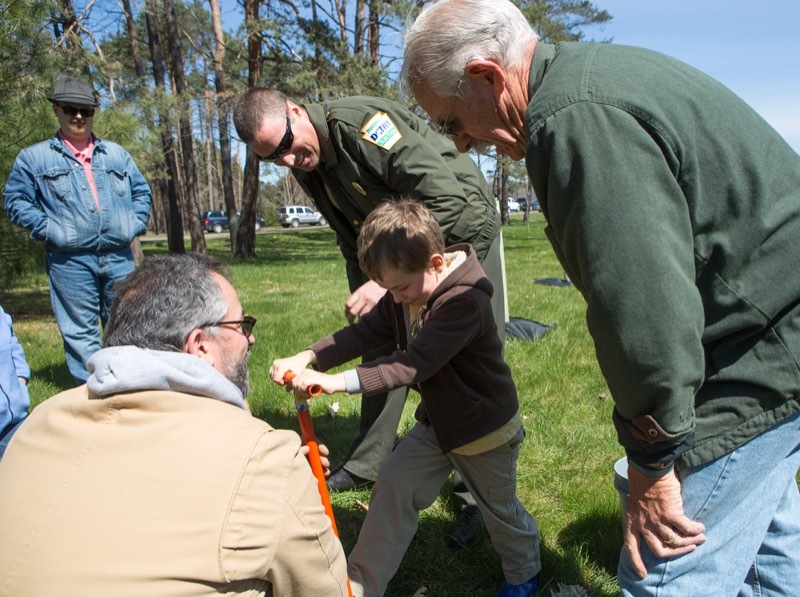 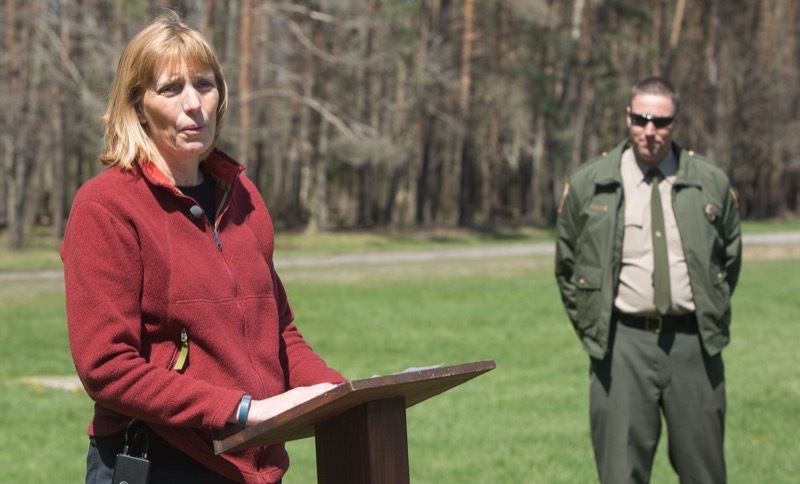 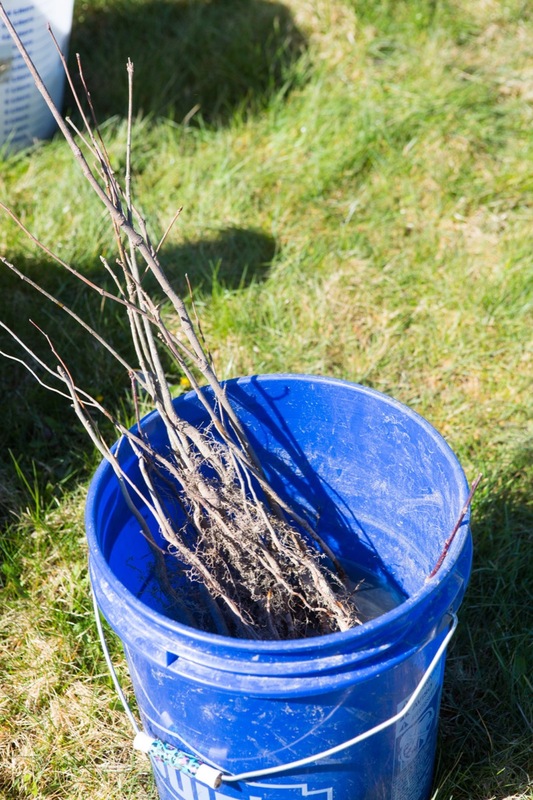 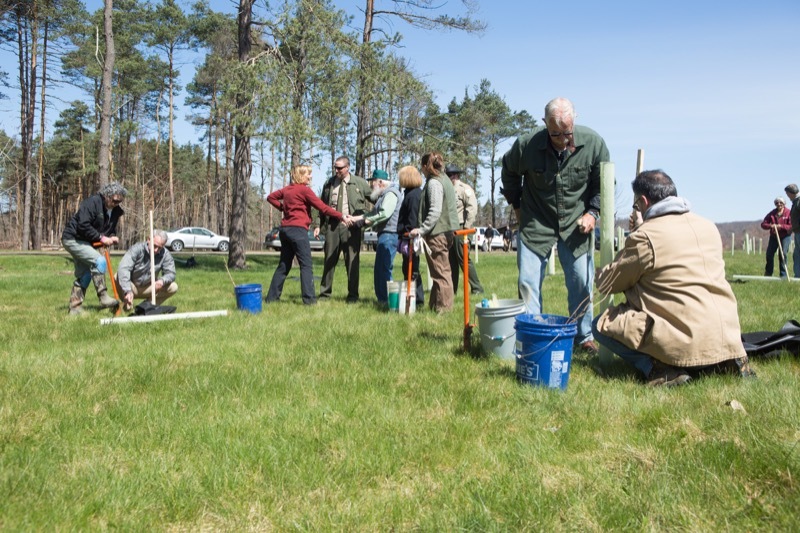 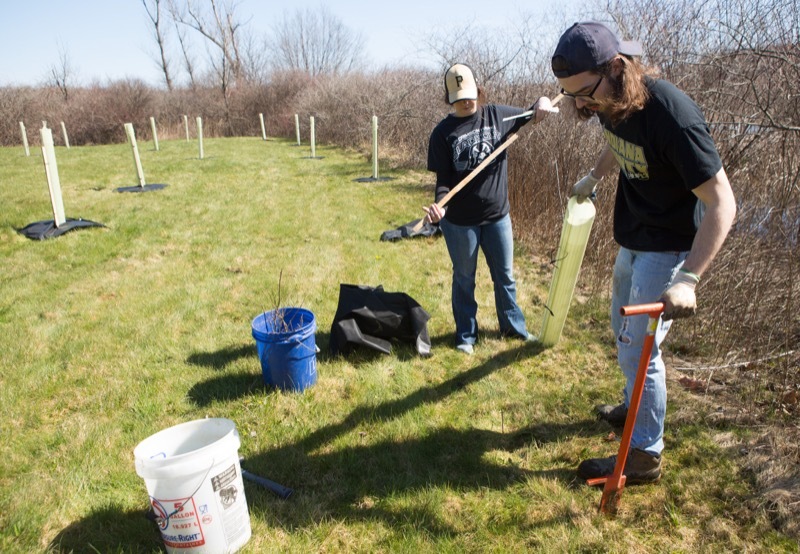 Department of Conservation and Natural Resources Secretary Cindy Adams Dunn today joined the Western Pennsylvania Conservancy (WPC) and volunteers in planting two acres of trees along the lake at Yellow Creek State Park in Indiana County to improve water quality. 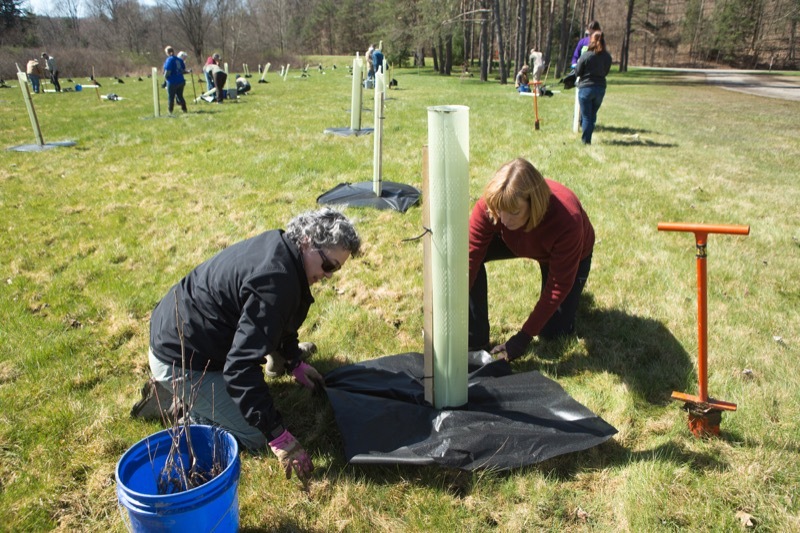 Penn Run, PA - Department of Conservation and Natural Resources Secretary Cindy Adams Dunn today joined the Western Pennsylvania Conservancy (WPC) and volunteers in planting two acres of trees along the lake at Yellow Creek State Park in Indiana County to improve water quality. 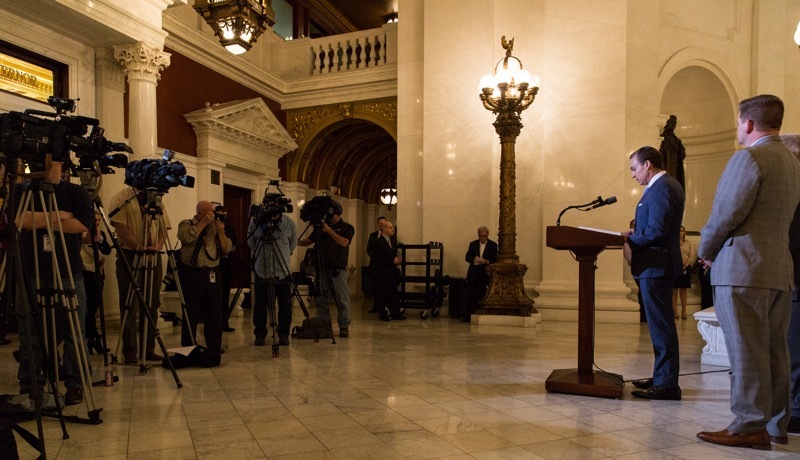 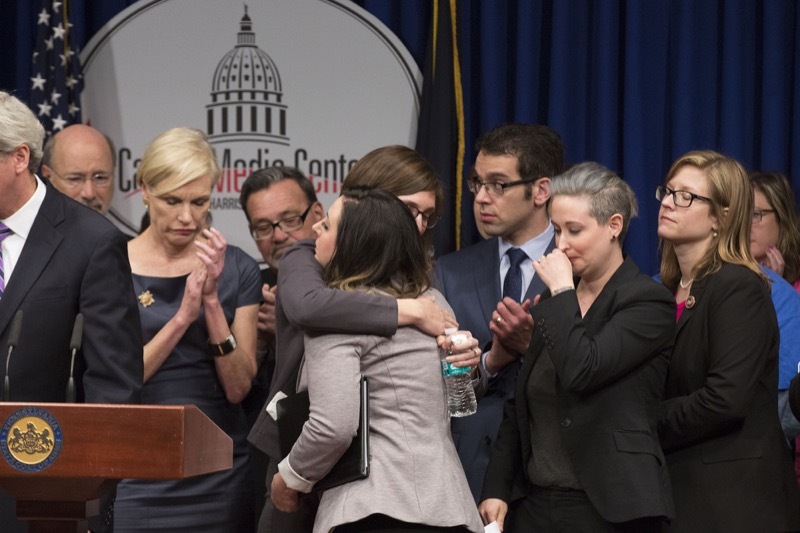 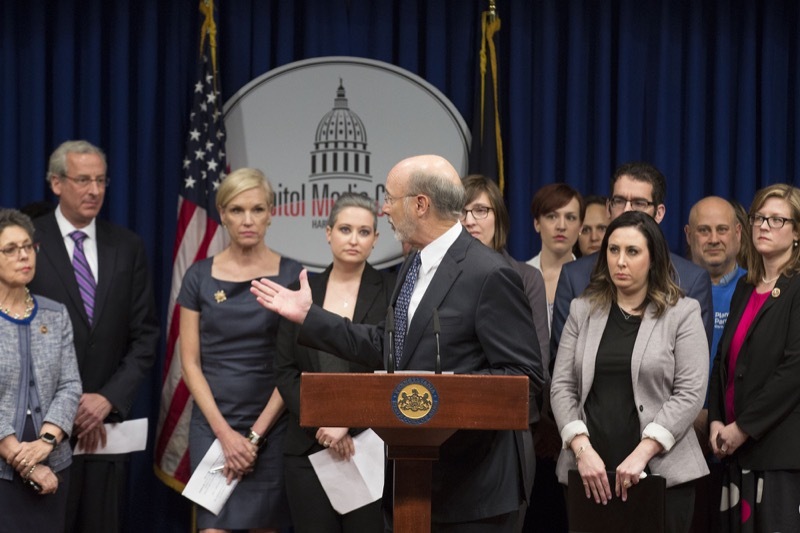 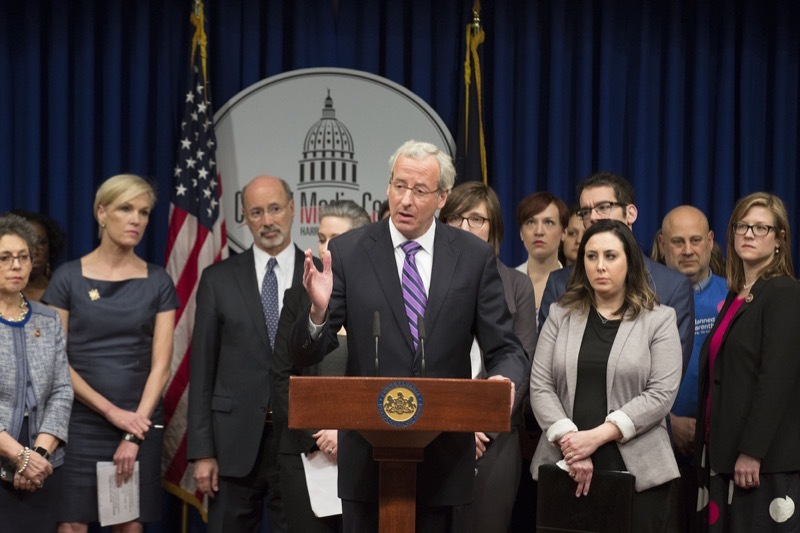 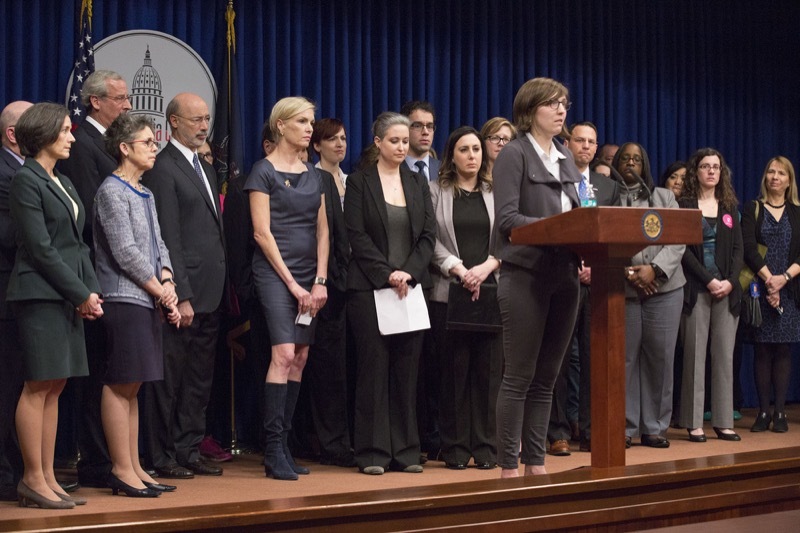 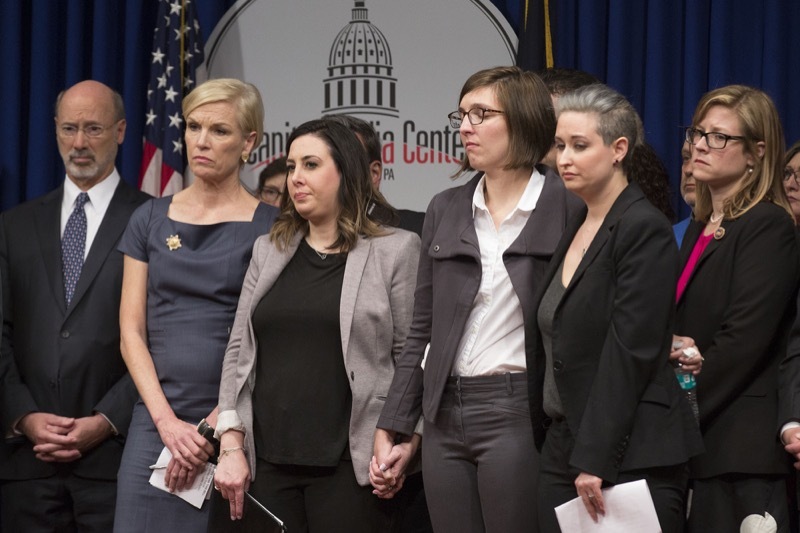 Governor Tom Wolf joined Cecile Richards, President of Planned Parenthood Federation of America and legislators to discuss the repercussions of the Republican anti-choice bill.